I remember my teenage years when I was a brigade member, and I wouldn’t want to skip training and practice all because I want to have my hands on the trumpet. It is the only instrument I cherish, and that prompts me to write on some of the best trumpet brands you should consider. What is the Best Trumpet Brands? Some couples of years back you might just be asking the wrong person if this question is thrown at me. I don’t have any idea on the different types of trumpets sound, but I did notice some have quality sound output compared to some. With different types of brands in the industry, it’s becoming difficult day by day on selecting the best product from particular brands and that is why the next section of this article will dwell much on how to choose the best trumpet without any regrets thereafter. 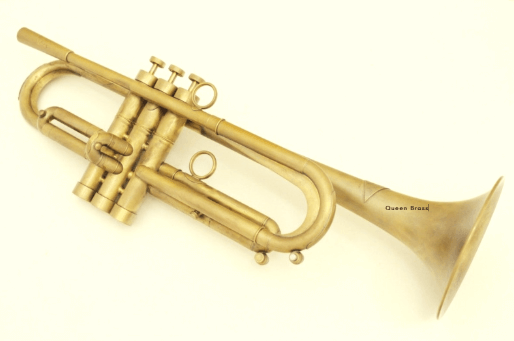 How To Choose The Best trumpet? I would have loved to have this section called the necessary things you need to know about trumpet as it helps you get familiar with it and guide you through selecting the best. 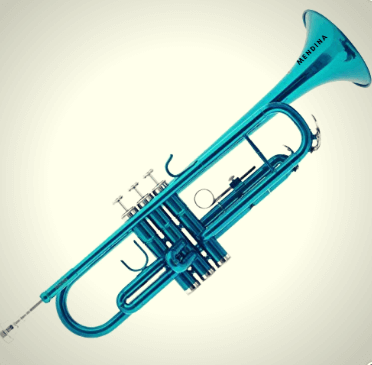 Here are things you need to know before choosing the best trumpet for yourself. The inside of the trumpet is known as the bore. Most trumpet players prefer bore around 485 inches to 460 inches. Horns that have larger bores will require more power and effort to play and that makes them the perfect choice for professionals and not the beginners. It is advisable that the young or beginners go for a horn with the small bore as it is easier to control for their level. It is also called, and it comes in different metals. From experience, nickel plated pistons are durable hard but quite challenging to clean. Monel pistons are another type but it is softer than the nickel piston, and it requires consistent cleaning and lubrication to keep clean to get optimal performance. To get the trumpet to work effectively, you need to ensure that the valve is in excellent condition. The bell materials vary, and the most common is the yellow brass, and it is used mostly in horns from student models to professional’s instruments. Not only is the yellow available in the market as you can also find a rose brass and silver bells. It is imperative that you give much attention to how the bell is made and not the materials alone. Professional horns have jutted single bell while the beginners and intermediate has double welded bells. It is also called a, and it is the tubing that goes from the mouthpiece of the tuning slide of the trumpet. It can be made of different brass with options such as yellow, red, silver or sterling. The red is the most preferred among them all for students because it is strong and it is resistant to corrosion. Trumpets usually have a bright finish surface of different types such as the lacquer finish and silver plate finish. Both come in different colors, and the kind you choose depends on your preference and style of the trumpet. Just before we take you on the journey of discovering the best brands you should consider, you need to know some of the types of trumpets you are likely to meet in the market. Now that you know there are different types of trumpets and brands, we’ll take you through some of the best that deserves you nod in the market whenever you are in search of a new trumpet. The first brand we choose to discuss is called Cecilio. One of the feelings you get, whenever you purchase a good from the best brand, is that you are much assured it will last longer with good performance rate, and that’s is precisely what you get from this Mendini trumpets from Cecilio. It is a trumpet that is beautifully crafted in gold color, and it is ideal for musicians of any skill level. 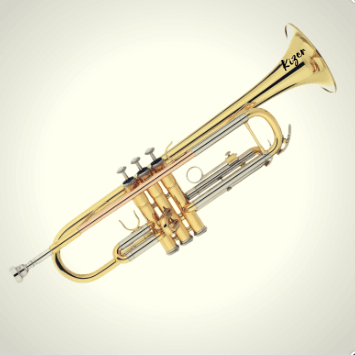 It isn’t just one of the best trumpets in the world by mouth, but it is because of what it has to offer especially the features such as the durable brass body with a phosphorus copper lead mouth pipe. It has 0.46 inches bore and 5 inches bell, smooth action valves topped with comfortable faux white mother of pearl key inlaid, 1st valve slide thumb saddle, 3rd valve slide with adjustable throw ring. One of the reasons we choose the Mendini trumpet from Cecilio is because every trumpet produced by the brand passed through special screening before it is distributed. It is a measure to ensure that users are satisfied with the quality and performance of the trumpet. The next on the list is also a product from Cecilio known with the product code MTT-30CN. The trumpet is ideal for students but not the beginners because of the medium-large bore except if the beginners can handle the trumpet. The trumpet is nickel plated, and its double braced with a rose brass lead pipe, and it is well-equipped with monel valves for effective and smooth responsive action alongside with the adjustable 3rd slide lock for precise intonation. On the arrival of the trumpet, you get to have access to pro-deluxe durable plush-lined nylon covered light weight hard case with backpack strap and zipper pocket, a soft polishing cloth, & a pair of white gloves. 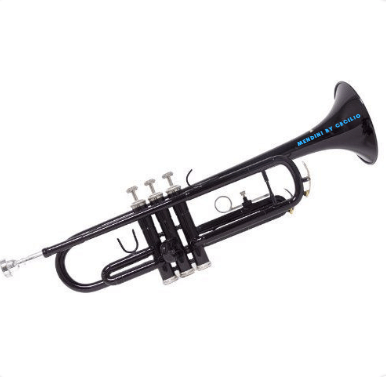 When it comes to choosing the best trumpet brands for beginners, this particular product in a review, feature Medium-large .460 inch bore with 5-inch bell, 1st valve slide thumb saddle, and adjustable 3rd slide lock with a year warranty. The next on our rundown is the Glory Brass Bb Trumpet. It is a product of glory brands itself and it one of the best you will love to handle if it happens that you are just starting out with trumpets. The trumpet is a standard one that is ideal for beginning students that love to play the trumpet. To become a professional with playing trumpet doesn’t start in a day and one of the best ways to achieve that feat is by consistent and continuous practice with any of the best trumpets. Glory is one of the best trumpet brands that are reliable and have the interest of beginning students at heart. The trumpet features a flawless design with smooth and beautiful sound quality that will make you fall in love with the instrument. The reason it makes our list is that Glory brand doesn’t just release their products into the market without testing through professional inspectors to ensure it meets the standard. The solid brass bb trumpet comes with silver plated 7c mouthpiece, hard shell case and a pair of gloves for users. The next on our list is a famous brand I got to know right from when I joined the brigade department in my church about 15 years ago. The brand has been the frontier when it comes to trumpet industry, and they are doing all in their capacity to ensure they improve and satisfy customers. 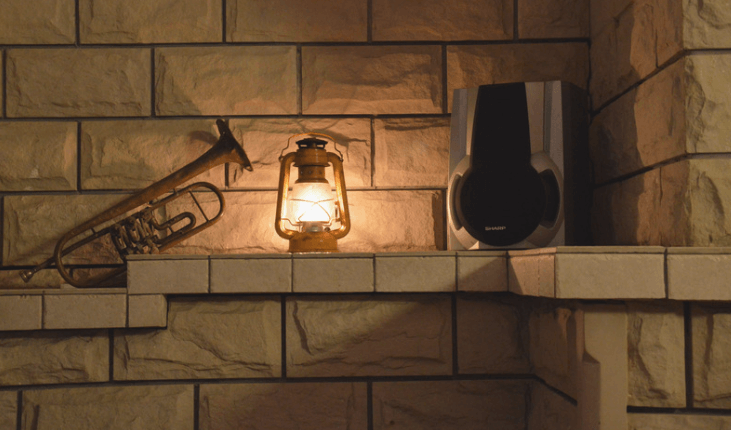 The best product we choose from this brand is the Yamaha SB7Xc Silent Brass System for Trumpet. It is one of the best Yamaha, and it is engineered with all that can win your heart just with a click. The innovative and design of the trumpet makes it one of the best you will be so glad you have in possession if you genuinely love horns. It comes with quality features, and the aim is to offer you more than quality sound but to combine comfort and realistic experience than ever before. Of course, it is loud, but the idea is to ensure that you enjoy every bit of the instrument. Also, it is lightweight, and it has a mute system for sound reduction and provides a natural playing feel, stable pitch and overall retention of the primary playing characteristics. Combining brass resonance and silent brass with a high-quality practice mute that has excellent intonation and equivalent resistance makes the trumpet the best among its counterparts in the market. The trumpet has an internal electronic condenser microphone, and it is powered by AA alkaline or nickel-metal hydride batteries x 2 (3V DC) sold separately. It has a nominal level of -25dB to -35dB and brass resonance modeling. It has no significant setback except that it runs on batteries which means it has to be fully charged to work effectively. You list of the best trumpet brands isn’t complete without mentioning Kaizer. One of the products of the brand that gets our attention is the Kaizer Trumpet Bb B Flat Gold Lacquer Rose Brass Includes Case Mouthpiece and Accessories TRP-1000LQ. It is specially made for student’s musicians and those who are interested in trying their skills with the trumpet. 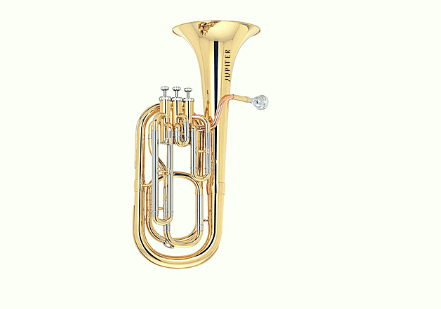 It comes with 0.464 inches large bore, and 5 inches bell with a rose brass lead pipe, cupronickel tuning slides which enhance the tonal performance and gives the trumpet an exclusive response to different music. It comes with a 7c mouthpiece, and the mouthpiece receiver gives room for other mouthpiece providing room for a different style of play. It is a solid yellow brass trumpet with 1st valve slide thumb hook, and an adjustable 3rd valve slide ring offers easy gripping, better gripping, and intonation control. The package also includes molded case, valve oil, polishing cloth and a pair of gloves. Kaizer ensures you get the value for your money and with a lifetime warranty, you can be sure you are getting one of the best products on the market. It is built to last long as it is engineered with materials that can handle any rigor its subjected to. Merano is one of the respected brands in trumpet industry, and when it comes to producing the best and quality trumpet, you have to give Merano some accolades. The product we choose from this brand is the Merano B Flat BLACK / Silver Trumpet with Case+Mouth Piece+Valve Oil+Metro Tuner+Stand. It comes in a black design, and it is a B flat key. The trumpet has a nickel-plated trumpet. It is designed for beginning students and can be used as well by the intermediates. 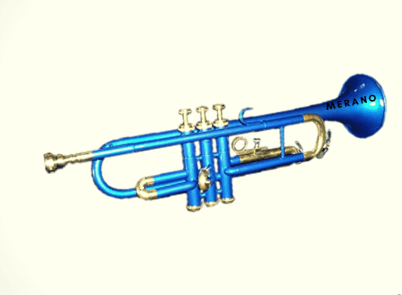 It is one of the best to consider in the market if you are in search of any quality trumpet. The trumpet comes with a zippered hardshell velvet lined carrying case that makes it easier to carry about from one place to another. It comes along with a pair of white glove, oil, cleaning cloth, metro tuner and a stand for every user. One of the products you will ever love from this brand is Nasir Ali PoTr-05, Pocket Trumpet. Looking for the best trumpet for beginner students, then the Nasir Ali PoTr-05, Pocket Trumpet is the best trumpet in the world to consider. It is ideal for beginner to medium level players. It comes with a phosphorus copper lead mouth pipe with three smooth action valves. 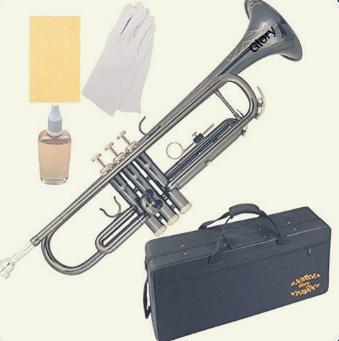 It comes with Brass Polished with Free Case and Mouthpiece, and it includes a carrying case, bottle of valve oil, soft polishing cloth with a pair of white gloves. 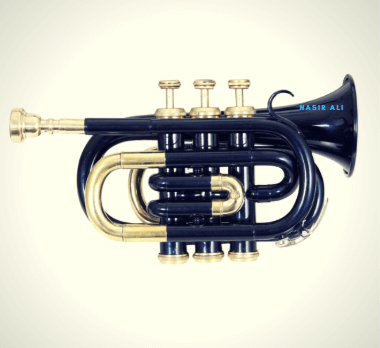 That which makes Nasir Ali one of the best trumpet brands for beginners is that every one of the products produced is tested at Nasir Ali and then re-tested by professional to ensure that they met with the standard requirement. It isn’t a surprise to find the queen brass as one of the best brands on the market. They’ve been for years, and they are trustworthy with lots of quality products they’ve released in the market with excellent and outstanding reviews from customers. The product we choose that won our heart from the queen brass products is the new pocket trumpet chrome finish b flat w/case+mp trumpet cornet mini pocket. If you are in search of an attractive trumpet, the bb pocket cornet made of high-quality brass in chrome finish is an option to consider. The trumpet is made in such a way that can easily be handled by the intermediate and professionals. It isn’t aimed at student beginners as it might take a longer time for them to get used to it. It comes with a mouthpiece and a hard case for transporting the trumpet from one place to another without hassles. Don’t be deceived by the compact size, it can be controlled with just one hand, and you will enjoy every moment with it. It is the last brand we choose to discuss in this post with you with one of its product as our center of attention known as Jupiter Intermediate Bb Trumpet 1100S. It comes with rose brass lead pipe, the sound is topnotch, and it has a great lifespan. The trumpet comes with Adjustable 3rd Valve Slide Ring allows the player to custom fit the instrument to achieve maximum performance comfort. 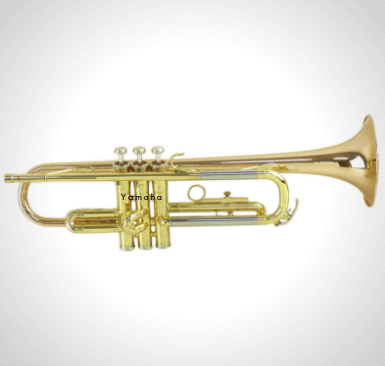 The silver-plated yellow brass body of the trumpet makes it attractive, and its design gives users the freedom needed to control and play the trumpet without stress. This article on the best trumpet brand is aimed at those who are in search of any of the best trumpets they can purchase in the market. We’ve done comprehensive research and survey on each brand, and we can select their top and bestselling products in the market to share with you. Consider any of the products if you are in the market for a trumpet and we will be glad to hear back from your through the comment box below.